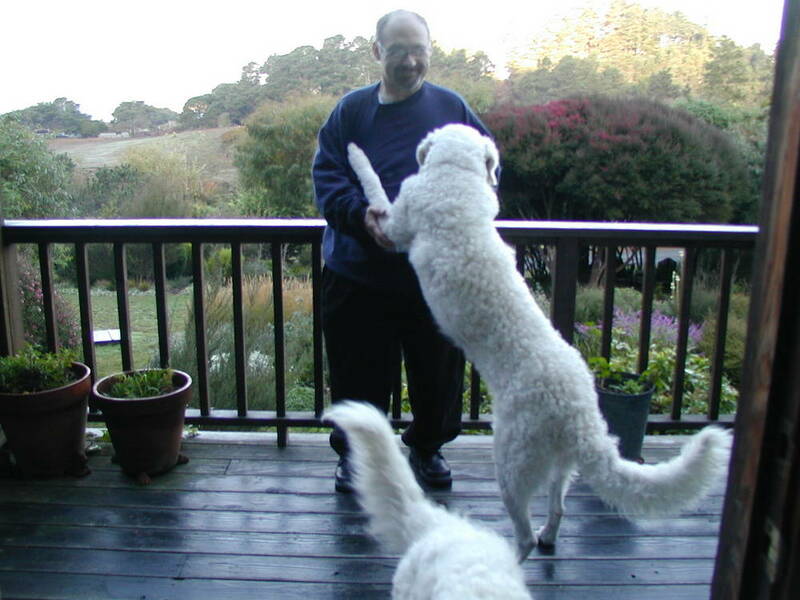 The Kuvasz is a large dog, slightly longer than it is tall. Their head is clean and well proportioned, with an elongated skull and V-shaped ears that are slightly rounded at the tip. Their eyes are dark brown, almond shaped, and a little slanted. They have a fairly long, but not pointed muzzle, and the teeth meet in a scissors bite. The powerful body of a Kuvasz is muscular, with a straight, broad back and a tucked-up stomach. The tail is long and carried low, reaching down to the hocks. Their feet are catlike. The Kuvasz has a double coat made up of a fine undercoat covered by a medium-coarse outer coat, which ranges from straight to very wavy. The hair on the Kuvasz’s head and feet is short and smooth, while their neck and chest sport a full mane. Kuvasz coloring is always white throughout. Height (Male) 28 - 30"
Common Misspellings Kuvazs, Kuvaz, Kuvas or Koovasz. They are loyal to and protective of their family, and they are often extremely vigilant when guarding children. The Kuvasz is typically kind towards other pets, but they do not take well to other dogs and strangers. They can become aggressive toward anything they view as a threat. 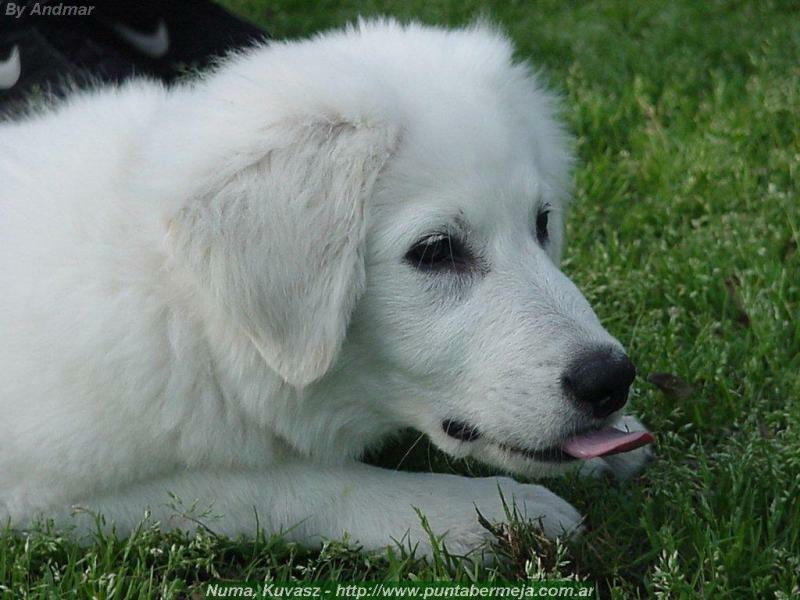 It is crucial to properly train your Kuvasz puppy while theyre young, since the Kuvasz can be rather stubborn and independent, which makes training difficult at times. 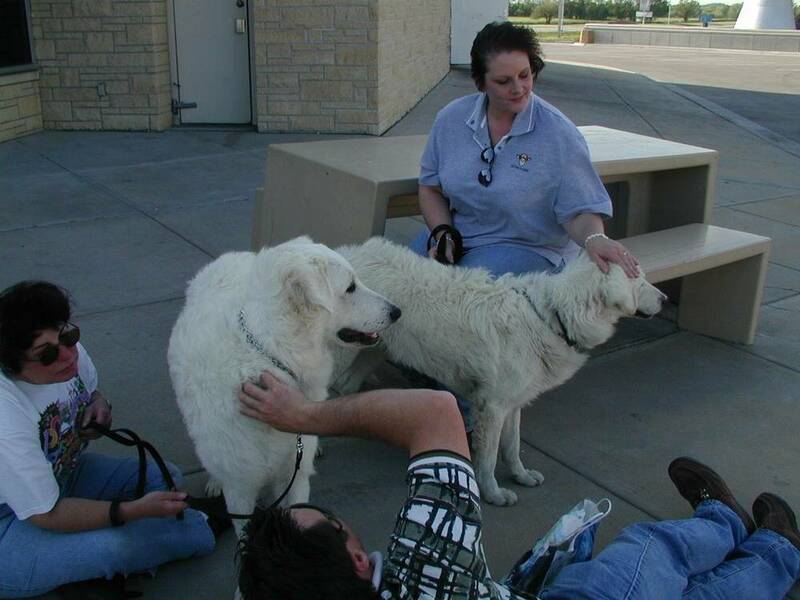 A Kuvasz dog certainly loves their family, but they arent over affectionate and may even appear aloof at times. The Kuvasz is unsurpassed both as a watchdog and guard dog, adding a palpable sense of security to any home. 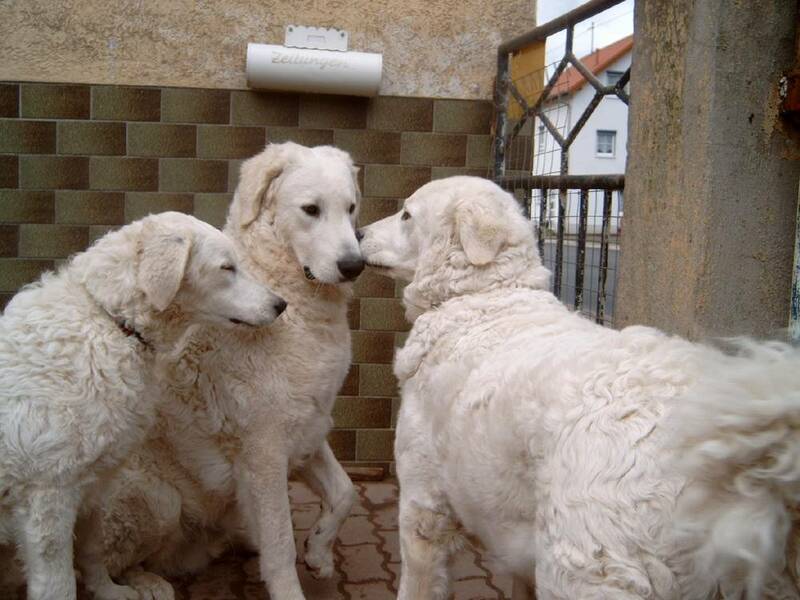 Socialization and obedience training during puppyhood will help ensure that your Kuvasz gets along with other dogs, but you should nevertheless always be careful when introducing your Kuvasz to a strange dog. The Kuvasz can live outside in temperate climates and enjoys cold weather. Coat care consists of biweekly brushing for most of the year, and potentially daily brushing during shedding season. 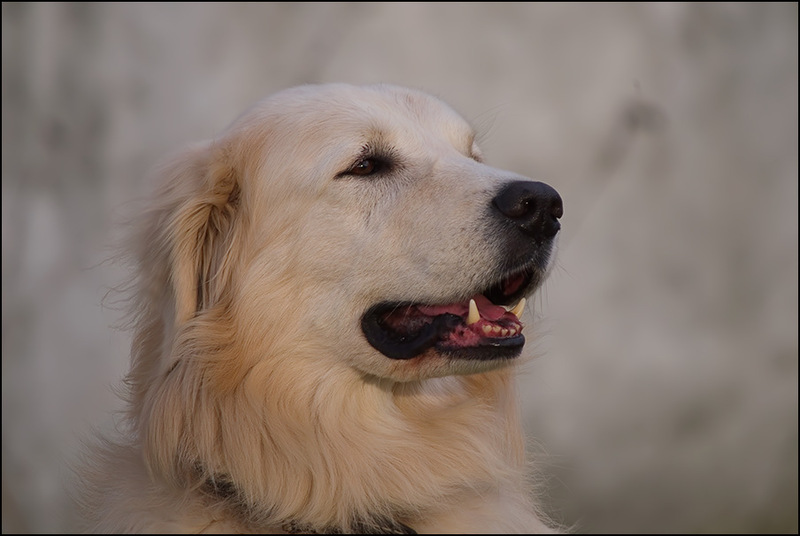 Kuvaszok typically live long and healthy lives; some may develop osteochondritis dissecans, canine hip dysplasia, or hypothyroidism. 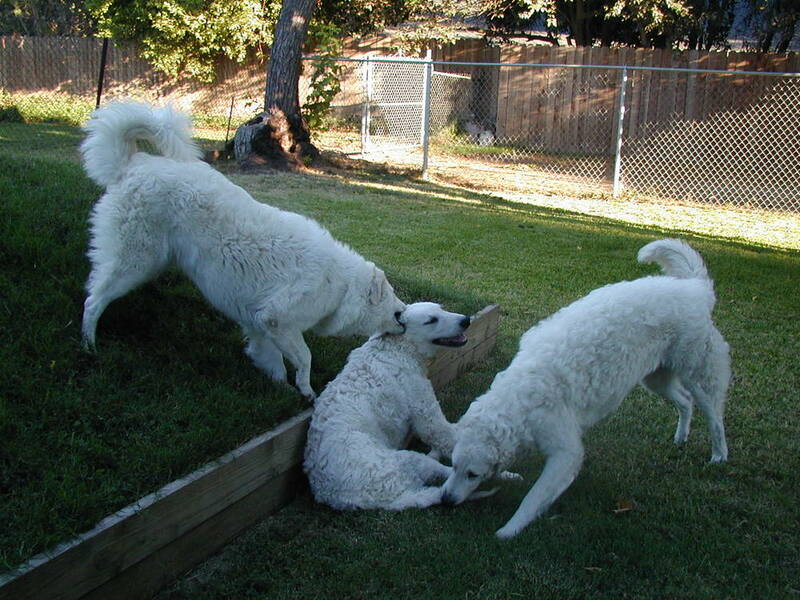 There is some division on the origin of the name Kuvasz. Some argue that the word derives from the Turkish word kawasz, meaning armed guard of the nobility. Others believe it comes from the Magyar Ku Assa, meaning Dog of the Horse. These dogs were used by the nobility as guardians and as big game hunters. It is said that a pack of Kuvaszok (plural for Kuvasz) could bring down a wolf or bear. Matthias Corvinus I, king of Hungary from 1458 to 1490, is credited with developing the Kuvasz into the dog we recognize today. 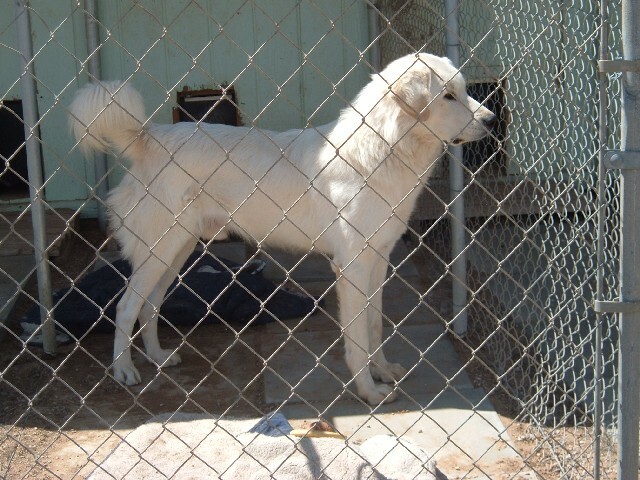 He kept a large kennel of Kuvaszok and, through selective breeding, did much to improve the quality of the dogs. Notorious for keeping a Kuvasz with him at all times, King Matthias I would often give the dogs as gifts to noblemen and foreign dignitaries. One such honoree was Vlad III the Impaler, better known as Vlad Dracula.Over the years, the nobilitys favorite breed fell into the hands of everyday farmers who used the dog as a livestock guardian. 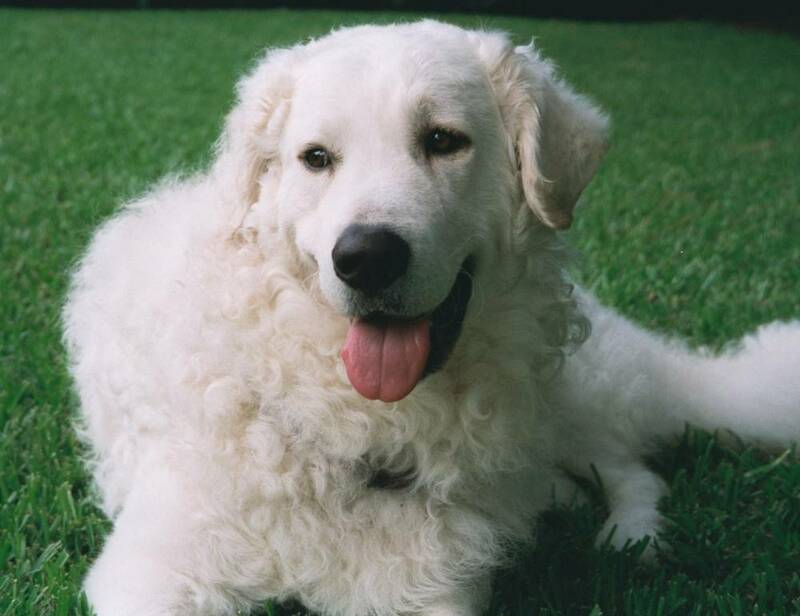 At this time, the breed name was changed to Kuvasz, which ironically translates to mongrel. The Kuvasz was introduced to the United States during the 1930s and recognized by the American Kennel Club in 1935. The World Wars decimated the Kuvasz, but Kuvaszok in Germany helped to keep the breed from extinction. 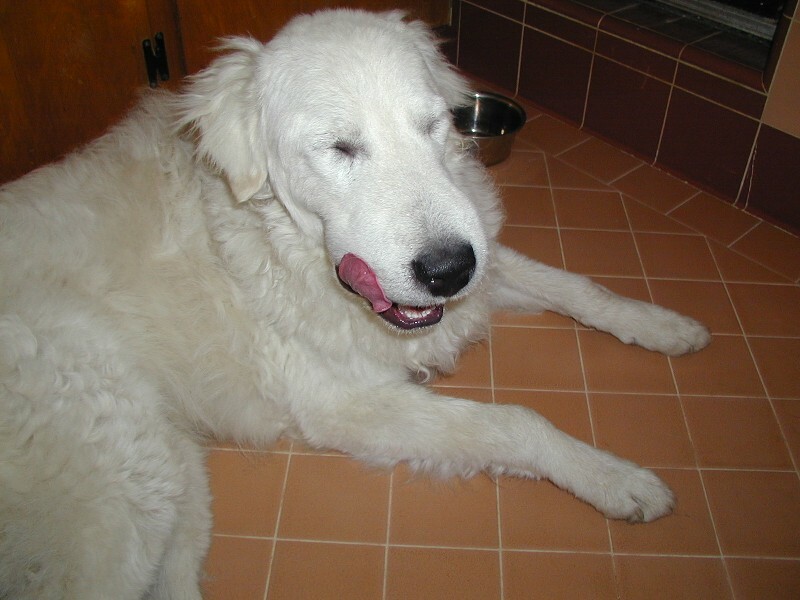 The Kuvasz is not commonly found in American homes.